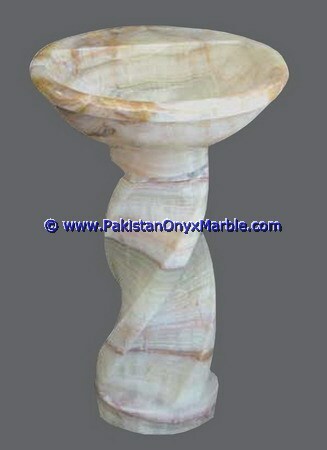 Pakistan Onyx Marble is the professional Onyx Pedestal sink Manufacture , wholesaler and exporter. 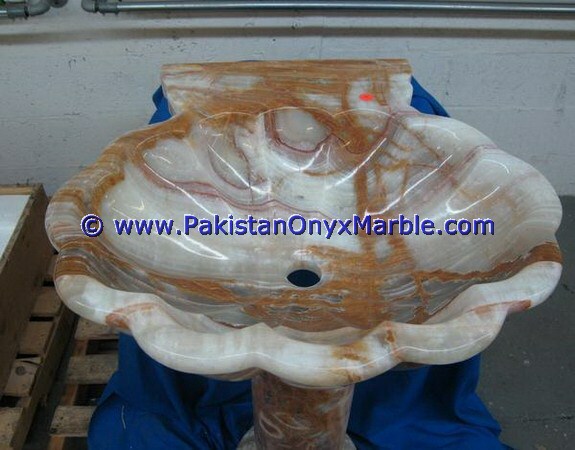 The Onyx Stone Sink collection from Pakistan Onyx Marble consists of a exquisite lineup of all natural, hand crafted stone vessel pedestals sinks. Adding stone elements to your bathroom provides a unique, natural and grounded look while having a positive effect on the overall space. 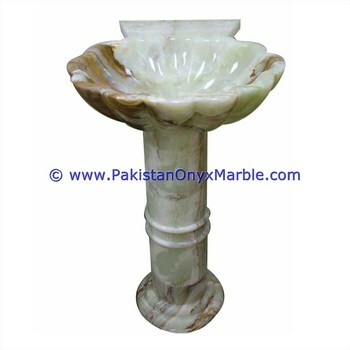 Pakistan Onyx Marble onyx stone vessel pedestals sinks are available in a range of natural onyx stone materials such as white onyx pedestals sinks, green onyx pedestals sinks, afghan onyx pedestals sinks, multi green onyx pedestals sinks, light green onyx pedestals sinks, pink onyx pedestals sinks, tarvatine onyx pedestals sinks, light green onyx pedestals sinks etc. 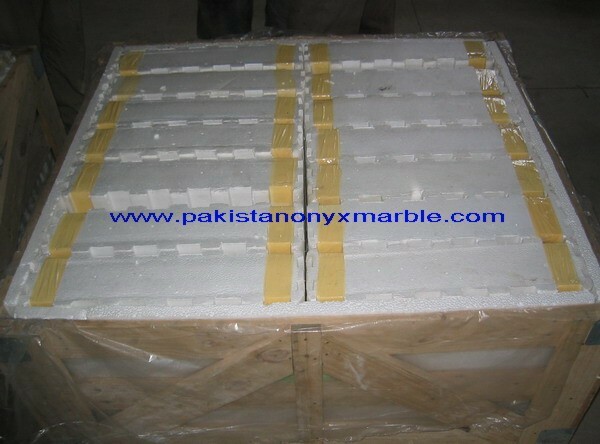 Onyx sinks and marble sinks in particular are becoming increasing popular due to their beautiful finish and polished luster. 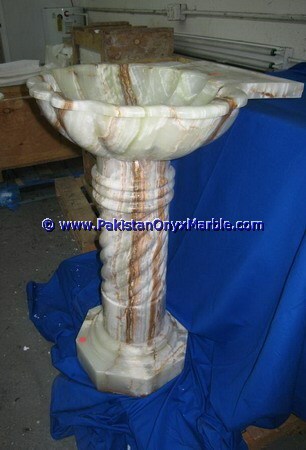 Onyx pedestals made of exotic Pakistan Onyx with white, green, red/sandy yellow /brown veins in stone. 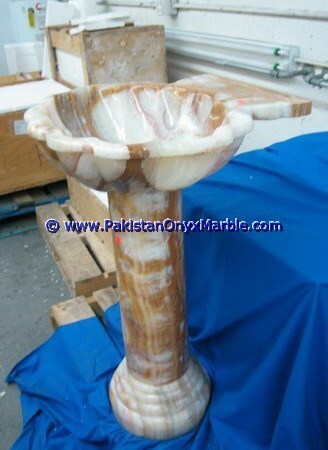 Absolutely elegant and gorgeous onyx pedestal sinks, will enhance your home with presence of natural and rare stone. 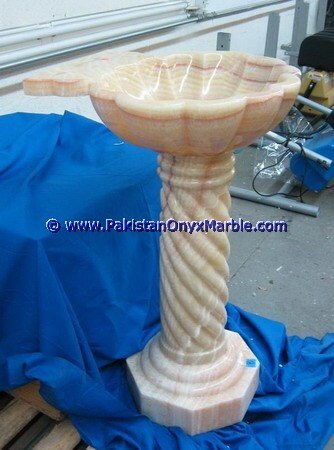 Beautifully hand crafted by our skillful craftsman and polished well to bring out the beauty of onyx. Shines through. In Pedestal sinks you can install a bulb inside the pedestal- stand of piece and the light will shine through stone, which will add absolutely unique look to your space. Presence of light will energies properties of onyx - powerful healer. 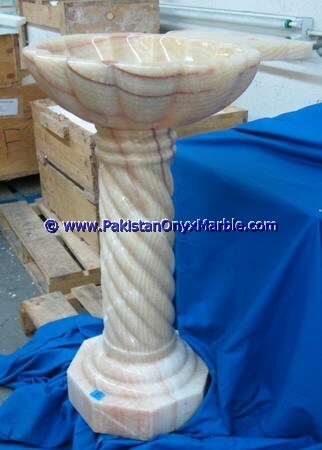 The pedestal- stand made of onyx of same colors, View more onyx pedestals. 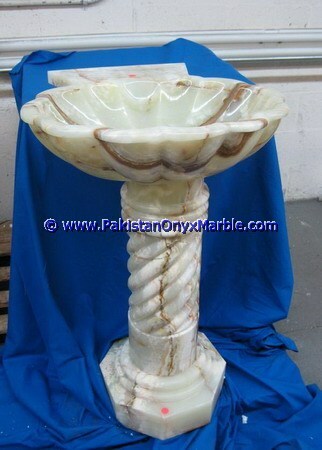 A stone vessel sink from Pakistan Onyx Marble isn’t just a lavatory fixture, its natural décor. 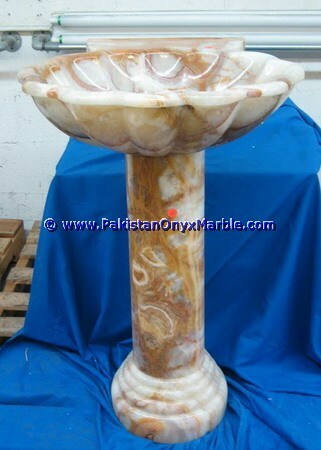 For more information on Pakistan Onyx Marble Stone Sinks please contact us. 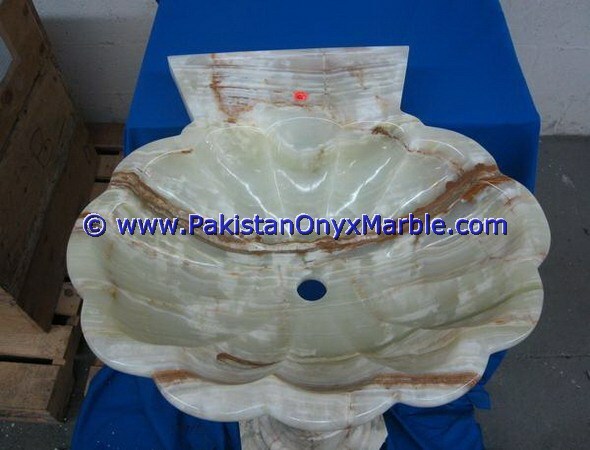 High quality onyx sink are resistant to fading from sunlight or water Greenning, scratch proof and easily cleaned with most household cleaners. 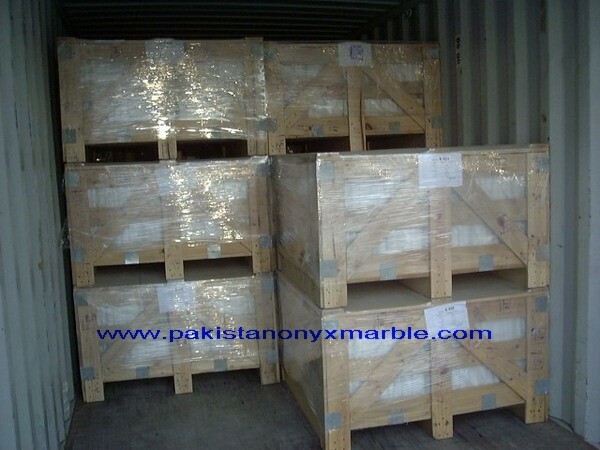 There are many kinds of onyx sinks, bowls, boat, square, Boat, Boats, ovals etc. 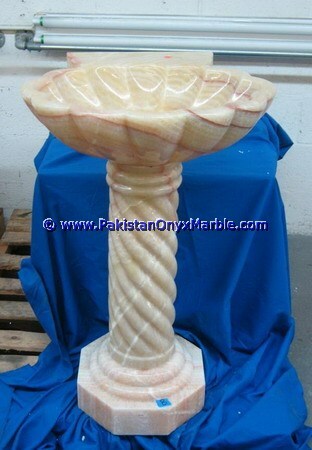 In our factory, they are beautiful decoration for kitchen room, bathroom for hotel and homes etc. 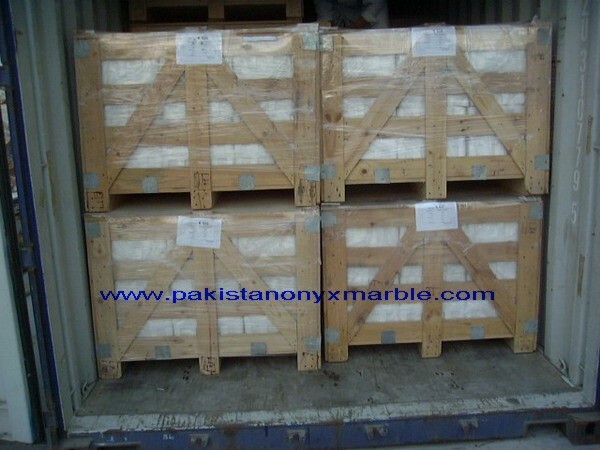 We supply large quantity of marble sinks and onyx sinks to hotel projects in USA and Europe.